Do You Know About Mode Conditioning Patch Cord? The great demand for increased bandwidth has prompted the release of the 802.3z standard (IEEE) for Gigabit Ethernet over optical fiber. 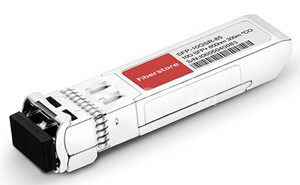 As we all know, 1000BASE-LX transceiver modules can only operate on single-mode fibers. However, this may pose a problem if an existing fiber network utilizes multimode fibers. When a single-mode fiber is launched into a multimode fiber, a phenomenon known as Differential Mode Delay (DMD) will appear. This effect can cause multiple signals to be generated which may confuse the receiver and produce errors. To solve this problem, a mode conditioning patch cord is needed. In this article, some knowledge of mode conditioning patch cords will be introduced. What Is a Mode Conditioning Patch Cord? A mode conditioning patch cord is a duplex multimode cord that has a small length of single-mode fiber at the start of the transmission length. The basic principle behind the cord is that you launch your laser into the small section of single-mode fiber, then the other end of the single-mode fiber is coupled to multimode section of the cable with the core offset from the center of the multimode fiber (see diagram below). This offset point creates a launch that is similar to typical multimode LED launches. By using an offset between the single-mode fiber and the multimode fiber, mode conditioning patch cords eliminate DMD and the resulting multiple signals allowing use of 1000BASE-LX over existing multimode fiber cable systems. Therefore, these mode conditioning patch cords allow customers an upgrade of their hardware technology without the costly upgrade of their fiber plant. After learning about some knowledge of mode conditioning patch cords, but do you know how to use it? Then some tips when using mode conditioning cables will be presented. Mode conditioning patch cords are usually used in pairs. Which means that you will need a mode conditioning patch cord at each end to connect the equipment to the cable plant. So these patch cords are usually ordered in numbers. You may see someone only order one patch cord, then it is usually because they keep it as a spare. If your 1000BASE-LX transceiver module is equipped with SC or LC connectors, please be sure to connect the yellow leg (single-mode) of the cable to the transmit side, and the orange leg (multimode) to the receive side of the equipment. The swap of transmit and receive can only be done at the cable plant side. See diagram below. Mode conditioning patch cords can only convert single-mode to multimode. If you want to convert multimode to single-mode, then a media converter will be required. Besides, mode conditioning patch cables are used in the 1300nm or 1310nm optical wavelength window, and should not be used for 850nm short wavelength window such as 1000Base-SX. From the text, we know that mode conditioning patch cords really significantly improve the data signal quality and increase the transmission distance. But when using it, there are also some tips must be kept in mind. Fiberstore offer mode conditioning patch cords in all varieties and combinations of SC, ST, MT-RJ and LC fiber optic connectors. All of the Fiberstore’s mode conditioning patch cords are at high quality and low price. For more information, please visit fs.com. This entry was posted in Fiber Patch Cords, Mode Conditioning Patch cord and tagged 1000BASE-LX, 1000BASE-LX transceiver module, Differential Mode Delay, DMD, Mode Conditioning Patch cord, multimode fiber, single-mode fiber on September 9, 2015 by Admin. FiberStore news, recently, ZTE realized 400Gb / s signal transmission over long distance of more than 5000 kilometers in the WDM system with 100GHz channel spacing of 25 ROADM nodes, which is the first time in industry. The communication capacity of the system achieved is as twice as the industry’s most advanced commercial fiber optical transmission capacity, 5000 kilometers without electricity relay transmission distance can across North and South of China. With the growth of global broadband services, high-bandwidth communication networks have become the basic requirement, 100G and 400G high-speed transmission technology is highly focused by industry. Long-distance transmission capability of high-speed signal determines the overall development speed of communication network and services. In the process of delivering high-speed signal, because high-speed signal has a wide spectral width, when pass through ROADM, the optical filtering effect will cause degradation of signal quality, making it difficult to achieve long distance transmission, which is a problem in industry. ZTE using spectral compression algorithm patented technology successfully solved the world’s problems, greatly improving the transmission performance of the system, making long distance 400G high-speed signal transmission become possible, the results of this research will be a technical foundation for the further development of global broadband networks. ZTE has been committed to the research of 100G, 400G/1T and other high-speed transmission technology, and continue to put the research production and application over years. In recent years, ZTE conquered of a number of key technologies: in February 2011, ZTE achieved the world’s first single-channel 11.2Tbit / s optical signal and completed 640 km transmission over standard single-mode fiber, breaking the previous world record of single-channel transmission speeds up to 1Tb / s optical signal; in July 2011, ZTE completed 24Tb / s (24 1.3Tb / s) WDM signal transmission, which is the industry’s first to achieve Tbit / s level of WDM system transmission; in February 2012, ZTE cooperated with German Tele, successfully completed the 100G/400G/1T signal of the 2450 km long distance hybrid transmission in Germany, creating by far the industry’s most long-distance high-speed signal hybrid transmission field trial record ; in September 2012, ZTE successfully achieved 40 400Gb / s single-carrier PM QPSK signal of 2800 km ultra-long radio relay transmission by using its patented technology, breaking the previous world record of single-carrier 400G transmission over 1200 km. According to the latest report from industry’s leading consulting firm OVUM, ZTE fiber optic network products have been successful beyond Alcatel-Lucent, ranking second in the world. ZTE ranks first in PTN + MSTP in the world; in the next generation WDM product areas, ranking second in the world. ZTE has rich experience in 100G technology, so far, has been successfully deployed over 30 100G experimental network and commercial network worldwide. This entry was posted in Mode Conditioning Patch cord and tagged OVUM, WDM system on June 11, 2013 by Admin. Cisco’s main business is sell routers and switches to large companies and telecom operators. But now users are increasingly relying on smartphones and tablet computers to watch video and surf Internet. Cisco CEO John Chambers is strengthening the investment in data network to adapt to the new situation. In addition, as growth slows in hardware revenue, Cisco is continuously through acquisition to get rid of dependence on hardware, and gradually achieve diversification. JouleX is Cisco’s latest acquisition, which is a software company provides business-oriented energy management. Its JouleX Energy Manager software and services can automatically monitor, analyze and control the power consumption of enterprise networking equipments. JEM features without installing agent, hardware measuring instrument in the network, also do not need to change the network or security settings. This advantage allows companies easily centralizing visualization of energy management at different places of the office environment and data center. Last month, Cisco agreed to pay $ 310 million to buy UK network Ubiquisys, whose technology can help mobile operators to providing better service for intelligent mobile phone and tablet computer users. Prior Cisco also had made two acquisitions in succession, $ 475 million for Intucell and $ 1.2 billion for Meraki. A little further in March last year, Cisco paid $ 500 million to acquire NDS who offers pay-TV content. These series of initiatives show, Cisco is firmly towards the strategic transformation. This entry was posted in Mode Conditioning Patch cord on June 3, 2013 by Admin. IEEE 802.3z-compliant optical fibre assembly consisting of a single-mode fibre permanently coupled off-centre to a 62.5-micron multimode optical fibre with duplex SC connectors at both ends. The patch cord is 3 meters (9.84 feet) in length. IEEE 802.3z-compliant optical fibre assembly consisting of a single-mode fibre permanently coupled off-centre to a 50-micron multimode optical fibre with duplex SC connectors at both ends. The patch cord is 1 meter (3.28 feet) in length. IEEE 802.3z-compliant optical fibre assembly consisting of a single-mode fibre permanently coupled off-centre to a 62.5-micron multimode optical fibre with duplex SC connectors at one end and duplex LC connectors at the other end. The Mode Conditioning Patch cord is 1 meter (3.28 feet) in length. Figure 1 shows an MCP and how it is typically connected to a transceiver module. When required, it is inserted between a transceiver module and the MMF cable plant. This entry was posted in Mode Conditioning Patch cord and tagged Mode Conditioning Patch Cable, Mode Conditioning Patch cord on April 25, 2013 by Admin.